It’s been roughly 12-13 years since I had gone back to the Philippines. My family and I immigrated when I was younger and every time we had a chance to visit back there was something that prevented me from going. When my grandfather died, I wanted to make it up to him and the rest of my family to be somehow connected to our roots. Learning about my mom’s side of the family a little more made this trip that much more personal unlike any other trips I went to. It was interesting to see places my grandparents and great grandparents lived at and peoples my mother and her siblings grew up with. Sharing stories about their childhood shenanigans and later on realizing the significance of food in their lives was just the cherry on top. A few days after landing at Manila we made our way south to the Visayas region at the island of Bohol. 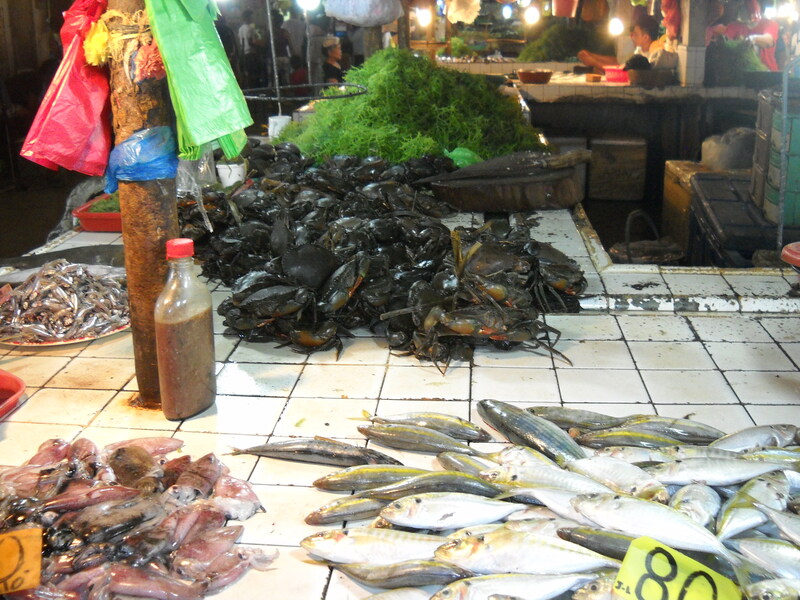 We visited the local wet market to buy fish, fruits and vegetables. This market, or mercado, is how I remember markets being; local farmers and fishermen selling their freshly caught fish and homegrown produce for everyone to enjoy. Granted the area has gotten more developed over the years with the introduction of malls and other commercial stores in the city centre, yet it was incredible to see that these parts of their cultural food traditions survived. Another treat while visiting Bohol was getting to experience one of their unique traditions. A month long tradition of fiestas hosted by a different town every day in the month of May. Family, friends and strangers are welcome to dine in one another’s homes and engage in casual conversations. It’s a time to get reacquainted with people or meet new people by sharing experiences/stories over a meal. Going to different houses and meeting my mom’s childhood friends gave me a glimpse of who she was growing up. It’s really cheesy for me to say this, but it was nice seeing such happiness in my mom’s eyes. I can tell that she felt relaxed and at home where she was. Rightly so, she was home. After a week of storytelling, sightseeing and more eating we made our way back to Manila for a quick stop before heading north to my dad’s province, Pangasinan. The first this I remember when I think about our visits there growing up can be summed up in one word-puto. They make the best little putos hands down! Our road trips to our grand parents house always ended with bags full of those little putos in the back of the car and some tupigs! Along the way, I also noticed that more people have built fisheries. Famous for the milkfish, bangus, locally abundant in the province, they celebrated a bangus festival just a day before we visited the area. Spending a day at Pangasinan was definitely not enough. We didn’t get a chance to lounge around the beach longer and absorb the mythical healing powers of the sea or go island hopping around the Hundred Islands. Now, if you don’t have as much time as I did make sure that you check out the BBQ scene regardless of which province or island you go to. Yeah okay, it might look a little scary, and I don’t think I’ll ever try BBQ chicken’s feet (‘adidas’), but there are plenty of other items on the grill! 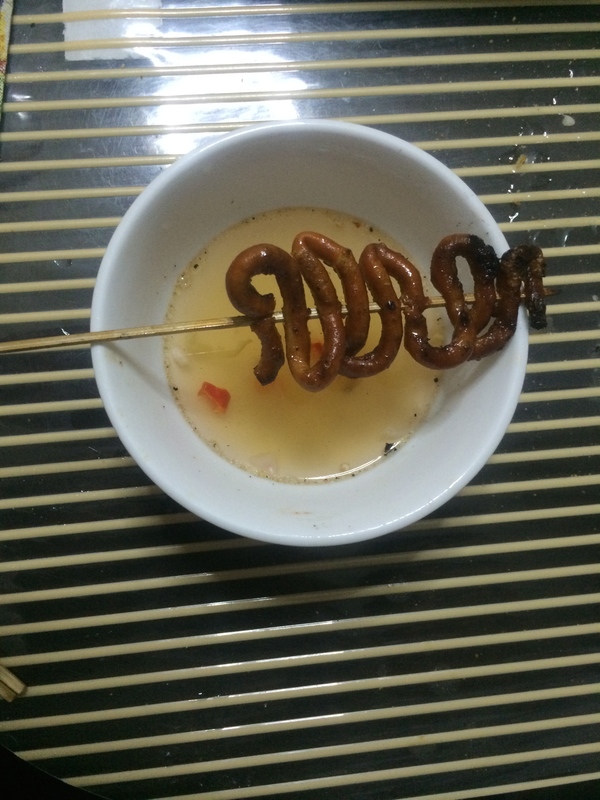 I definitely had a handful of ‘isaw’ or BBQ chicken intestine. It doesn’t sound appetizing but with some vinegar (with onions and chili) it tastes pretty damn good. If you’re not feeling that adventurous, we have some grilled fish of multiple varieties, especially if you visit the coastal provinces, or traditional BBQ pork (sliced, marinated and put on sticks). Here’s a tip, if you’ve picked the province you want to visit make sure to research or ask what is grown in the area. 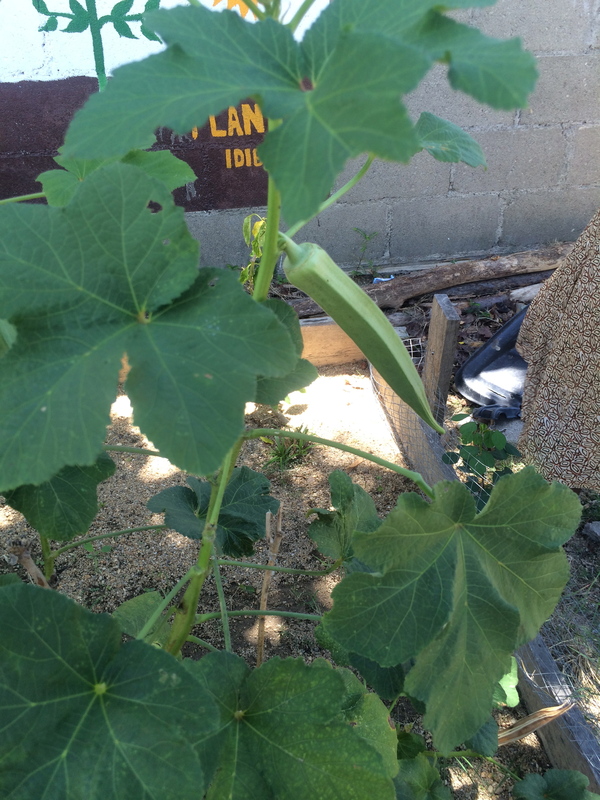 Different regions have their own delicacies dependent on what is abundant in that region. Last day before I fly home! Definitely thinking about my blog post already! Here’s a sneak peak 😉 can you guess what they’re doing? This was quite a unique experience. 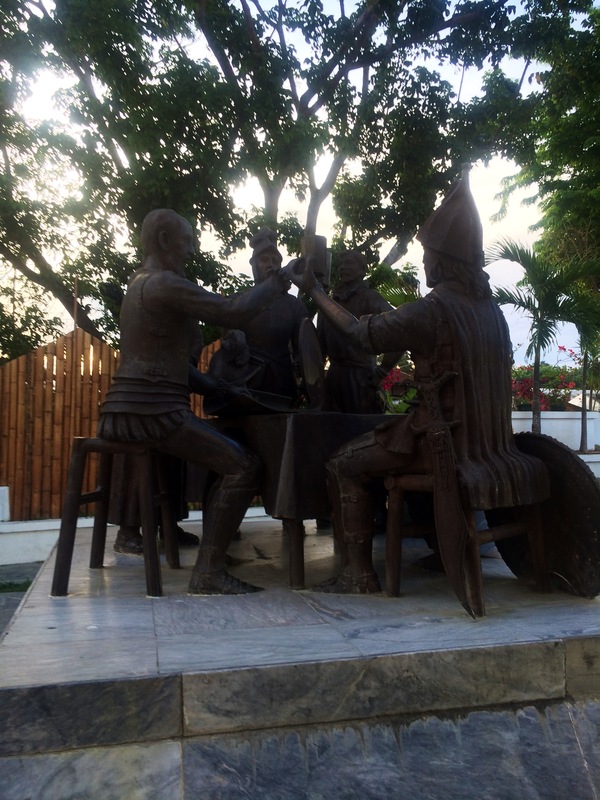 My visit to Belize challenged me intellectually, emotionally, spiritually and physically. I can honestly say that I left this rising nation a different person. I learned the value of having confidence and conviction about knowing your cultural heritage and your identity as a whole. In so many ways, we can be easily swayed by what people and other socializing forces envision us to be. When did it become so hard to just be you? Do the things you want to do, go to places you want to go and live a life that satisfies you. At the end of the day, the only face you’ll be seeing in the mirror is yourself, so why does other people’s opinion matter more than your own? About 10 students including myself were given the opportunity to participate in this international internship program with I.S.I.S. Belize (Institute of Sustainable and International Studies) in partnership with New College at the University of Toronto. The purpose of this particular internship was to gain a better understanding of indigeneity with an emphasis of food sustainability/security. We engaged with some indigenous people/groups living at the Southern part of Belize along side our professors. Contrary to popular belief the Maya people still reside on these lands/established villages and are persistently fighting for their rights to be recognized to obtain land rights in Belize. Similarly, meeting the Garifuna people emphasized the importance and relevance of preserving their rich culture for future generations. Each of these indigenous groups are distinct yet possess such a powerful common characteristic-resilience. Learning and reflecting from their stories and how much food plays a prevalent role has been a privilege. Making connections to my academic and personal discoveries during this educational tour only invigorated my desire to further understand my own culture and how continuous migration and colonialism [and its repercussions] has helped shape it. With food as my avenue of exploration, I can say with great conviction that my journey will not only be academically, professionally or culturally fulfilling but tasty as well. 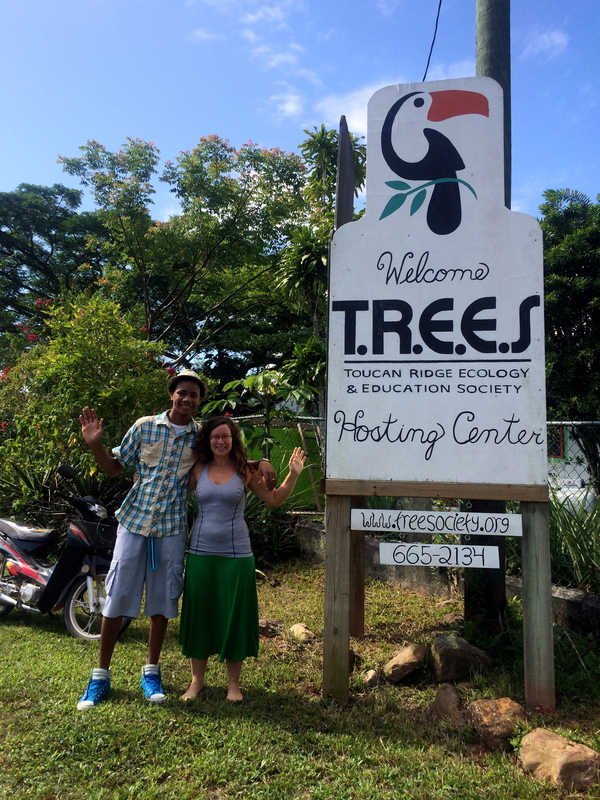 Toucan Ridge Ecology & Education Society (T.R.E.E.S. ): Initially only seeing the abbreviation on my itinerary had me thinking that of course our first night will be spent in a tree house or you know, suspended from some trees with a sleeping bag. You could imagine my disappointment when I saw that there were beds, complimentary towels and (brace yourself) a powerful electric fan to combat the heat! Coming out of that long Canadian winter season the hot climate of Belize definitely brought the heat as soon as we landed. So seeing that fan was a gift. Now let me talk about the food. This was our first meal at Belize and boy was it a good way to start. The banana bread pudding for dessert was simply immaculate. Creamy banana pudding and its crunchy, chewy crust, I’m salivating just thinking of it! Our next destination was at Hopkins Village on the coast of Stann Creek District. 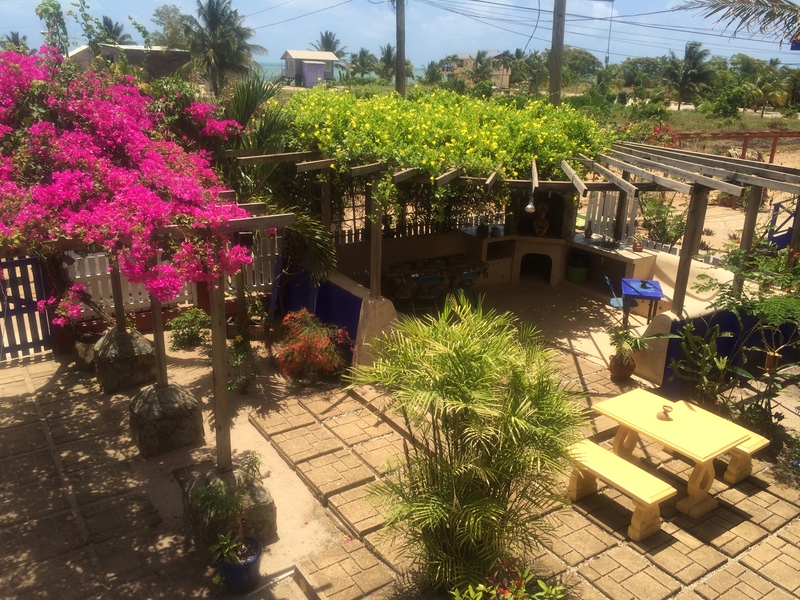 We stayed at the All Seasons Guesthouse, walking distance from the beach and a few restaurants in the area. The first time we were here I stayed at one of their cabanas equipped with a small kitchen, 2 bedrooms with queen size beds in each room and a shared 3-piece bathroom. If you want this space can easily fit at least 4 people comfortably and up to 6 using 2 foldable beds. Having its own kitchen, it came with a stove, refrigerator (with 3 complimentary bottled drinks), cutlery, dishes, glasses, towels, dishwasher soap and a flashlight. Which means, again, if you want to you can probably cook your own meals while staying at one of these cabanas. The rates per night at one of these cabanas or suites are definitely affordable. In comparison to other guesthouses and the amenities that they come with their prices are a lot more reasonable than most in the area. They also offer air conditioning in some suites, clotheslines and an outside seating area for each of the cabanas. Click the link below for more information or contact Reva Dark to get a more accurate estimate/prices when planning your stay. Now, here’s the bad news, due to unfortunate circumstances the original owner of this guesthouse passed, which means that this property has been and still is in the market (real estate market). While business is steady, the previous owner’s good friend/real estate agent is managing this guesthouse. I can only hope that whomever ends up buying this property keeps it the way it is. While not having met the previous owner, the spaces she created exuded her warmth and charm. There was a sense of humble comfort staying at this guesthouse. It almost felt like my second home. All of our experiences would not be possible without the university and their global partnership with I.S.I.S. Belize. I refrained from explaining the organization primarily because I don’t necessarily have all of the information about the organization but only my experience as a participant/intern. 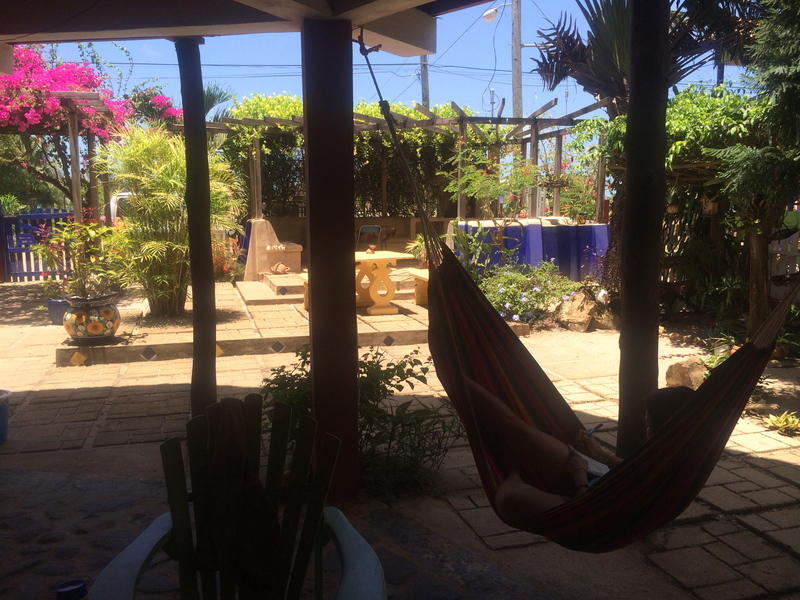 Our 8 days at Belize was jam packed with different activities from hiking through the rainforest to reach a cave, meeting a few Maya Alcaldes, engaging with a Garifuna elder at their temple to learning how to make chocolate. 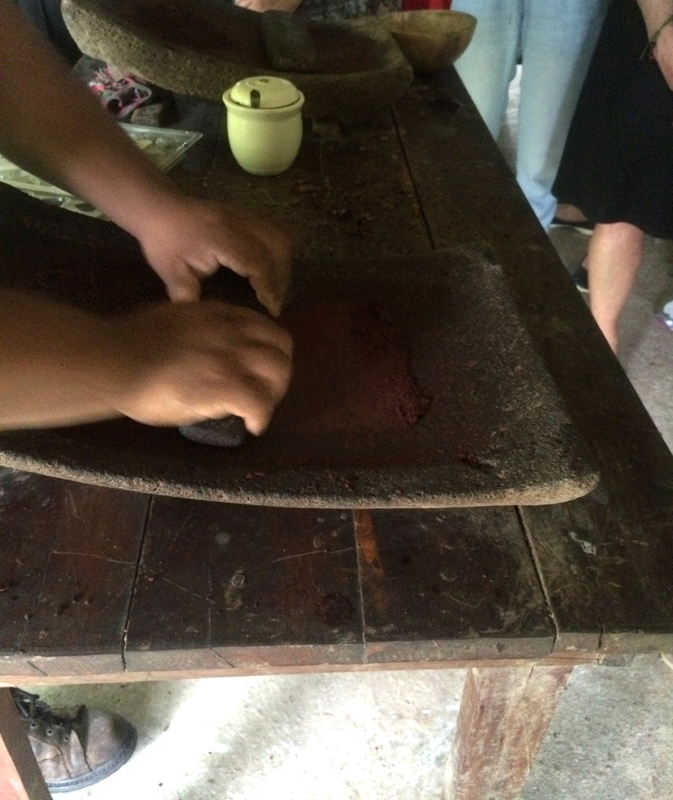 Participating at these activities was integral to learning about the indigenous culture at Belize. Yes, we all had very long days and we may have been half awake in some of them but it doesn’t take away from the culminating message that this trip has given. Each of us may have taken away something different from our week-long journey yet I think it’s safe to say that this experience taught all of us that the learning experience extends from classroom-country-borders. Check out I.S.I.S. Belize, where education is an adventure. I will try to come back for the ‘Swinging Armadillo Bar and Grill’ Grand Opening at Hopkins Village, Belize later in the year or next year! Fruits, fruits, and more fruits! Between school and work, taking some time off to visit some awesome friends was definitely much needed. We had some delicious food and strolled around the infamous Byward Market located at the heart of downtown Ottawa. I didn’t quite appreciate all the things that the city had to offer when I lived there over 2 years ago, but I’m glad that I did this time around. These pictures only give a glimpse of some of the things you can experience visiting Ottawa; I concentrated more towards really absorbing the abundance of fresh fruits and vegetables sold every summer time at the Byward Market as well as dining in some restaurants. Visiting the market was great, especially meeting the local farmers and speaking to them about their products. Particularly, when we were in the hunt for sweet strawberries (for a recipe I’ll post later on) one of farmers had some green gooseberries. I’ve had some gooseberries before but there were a light orange colour and usually enveloped inside some leaves, similar to tomatillos. These gooseberries were green, and perhaps he took off the leaves from the fruit itself, the taste was different from regular gooseberries. They were sweeter rather than tart and citrusy. Most of all, I could really feel the excitement in his voice when he was telling us about these green little berries. He had so much passion about the product he’s selling. Often, that is exactly what we miss when products are mass produced and sold commercially. The interaction that you have with the product’s maker gives you comfort in knowing that if he/she takes pride into his/her product then it is a product of quality. Although, that is not to say that you can’t have good quality produce in commercialized grocery stores, because you can. Some people would say that those produce have been grown with some added chemicals and whatnot and perhaps they have been (I’m sure there are a bunch of documentaries you could watch about this around). For me, it’s the pride. These farmers have pride because they know that they’ve taken care of their products the same way they’ve been doing so for decades. That, to me, is the difference.